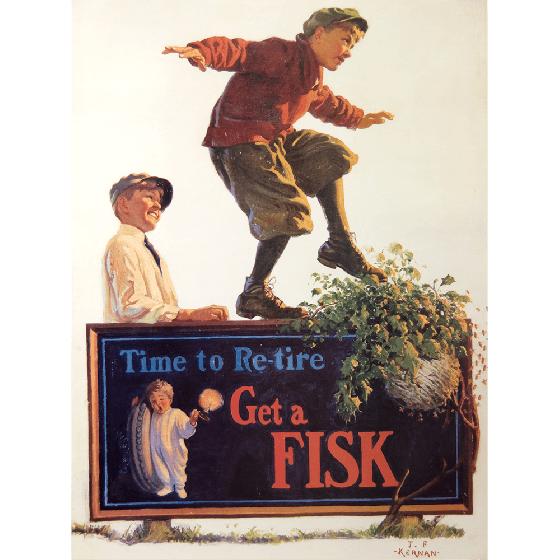 This vintage poster features original Fisk Tires advertising art “Kid Balancing on Sign”. It makes a great addition to any garage, collection or even hanging in a youngsters bedroom. Celebrate the rich history of Fisk Tires with this playful poster.